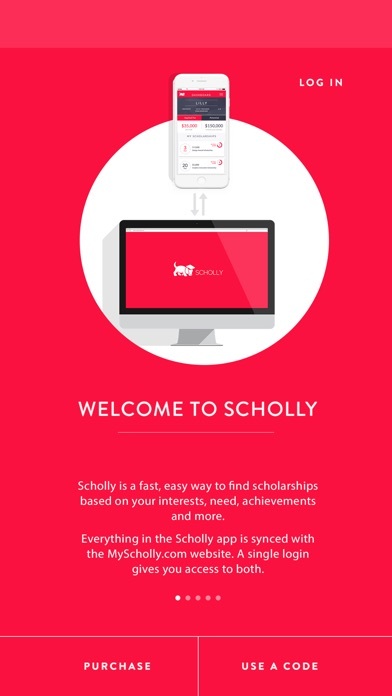 I downloaded Scholly a few years ago for the price of $3.99 because I could get access to scholarship opportunities for years for no subscription fee. Now that I am in my senior year of high school and need these scholarships the most, Scholly has begun requiring a subscription fee. My $3.99 was wasted because now the app wants me to pay $29.99 a month for what I previously had access to for free. They should at least reimburse the $3.99 fee, if not give a free subscription to those that bought the app before the most recent update. Why pay when I’m trying to earn money. 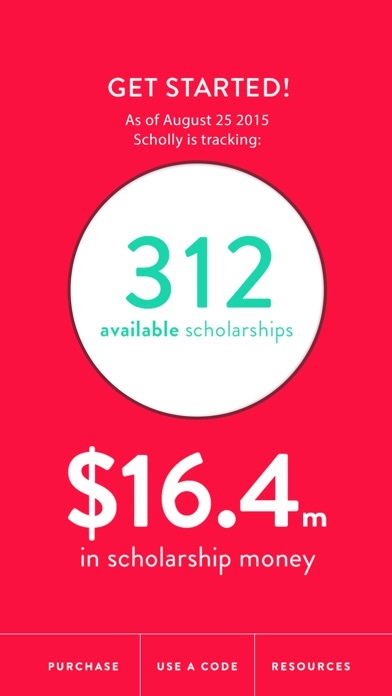 Why in the world would anyone pay for access to scholarships that most of those companies want you to find. Dumb idea crooks selling hopes and dreams. 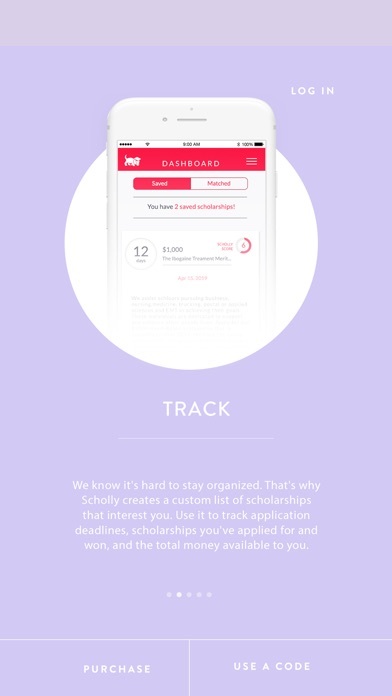 Love how simple they have made finding scholarships. I bought the app when it first released. Because I paid for it I didn’t have to pay a monthly subscription. I left a comment/review saying as much. The developers reached out to me and offered me something in a link which I stupidly downloaded. Now I am out the cost of the price I paid before and they want me to pay a monthly or yearly fee... So my review went from 4 stars to 1 star, and I will no longer be using the service. Cheap, petty and completely disgusting that these people would force me to pay monthly when I put down money for the app before they charged money. Then finding out and tricking me into downloading a “patch” that forces me to pay for it monthly know. I can no longer recommend this product. I work at a college financial aid office and I recommended this product to every student who came into my office for money. You’ve lost that free targeted marketing from me. I will from now on recommend students go elsewhere. 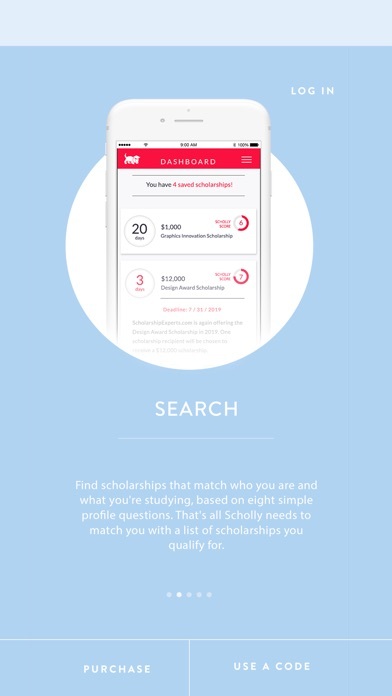 The app will have you enter in all of your information and then ask you to pay either a monthly or yearly fee for you to find scholarships. There are many other free websites available. Seems like a total scam. Do not recommend. I thought this would match me with scholarships because I need money for college, but this app WANTS money to match me with scholarships. Wish it was free. Definitely not recommending. Great Idea, but maybe not worth the subscription? I’ve had this app since I’ve started college in 2014. I’ve applied for scholarships every year and haven’t been rewarded, not at fault at this app, but still it makes me regret buying the app and putting in all that effort just to end up collecting more loans and debt. It’s a great idea, and I figured it was worth the initial pay because finding scholarships takes time which I have very little of; but with another monthly payment to add onto paying my normal bills and my school debt, even one as little as $3, adds up. It’s a great resource and gives you the chance at so many opportunities! Use it only if you’re okay with paying 😊 it’ll be worth it for someone I’m sure. I originally got the app for cheap and now that I’m at a university, I decided to download it again. After spending several minutes answering questions it then asks me for $30 to see my matches.